Former president and prime minister Shimon Peres was admitted Thursday morning to the Sheba Medical Center in Tel Hashomer after complaining of chest pains. Doctors said he suffered a mild heart attack. “The paramedic in his security detail determined an irregular heart beat,” she said in a statement. After an EKG test and consultation with Rafi Walden, Peres’s personal doctor and son-in-law, an ambulance was called to take him to Tel Hashomer, Army Radio reported. Once admitted, Peres underwent a cardiac angioplasty, an emergency but common procedure, after a narrowed coronary artery was found. The artery was successfully expanded during the procedure and Peres was “feeling well,” according to his office. Peres is expected to stay in hospital for a “few days” and then return to normal activities, Walden said. His daughter, Zvia, complained that news of his hospitalization had been reported so rapidly and prominently, asserting that it should have been a private matter until the family was ready to publicize it. Peres’s presidential successor, Reuven Rivlin, telephoned Peres in the hospital to wish him well. 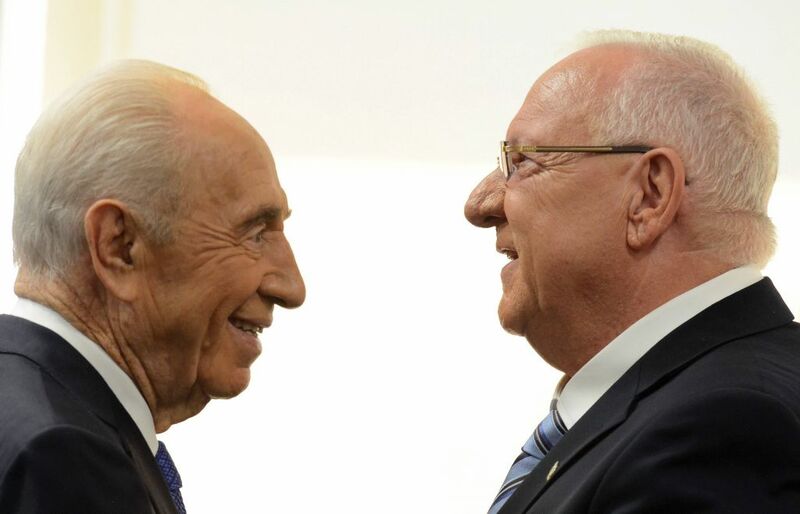 The conversation began with Peres politely asking Rivlin about his health, Army Radio reported. Two weeks ago rumors flooded the Internet that Peres, who has remained active despite his age, had died. A spokesman quashed the claims, poking fun at the reports. The rumors of Peres’s death spread in various WhatsApp groups, which frequently report false news. Peres, now retired, had a 55-year political career, most recently as Israel’s president from 2007 to 2014. He served as prime minister twice — from 1984 to 1986 as part of a rotational government, and in 1995 after the assassination of Yitzhak Rabin. He spent most of his career in the Labor party. He had been set to take part Thursday in the third annual Ladino festival, being held this week in Tel Aviv.